Drain the soaked moong dal and wash 2 to 3 times. Put it into a blender, along with the green chillies,ginger. pour it into a bowl. mix in the fennel powder, salt and asafoetida powder. 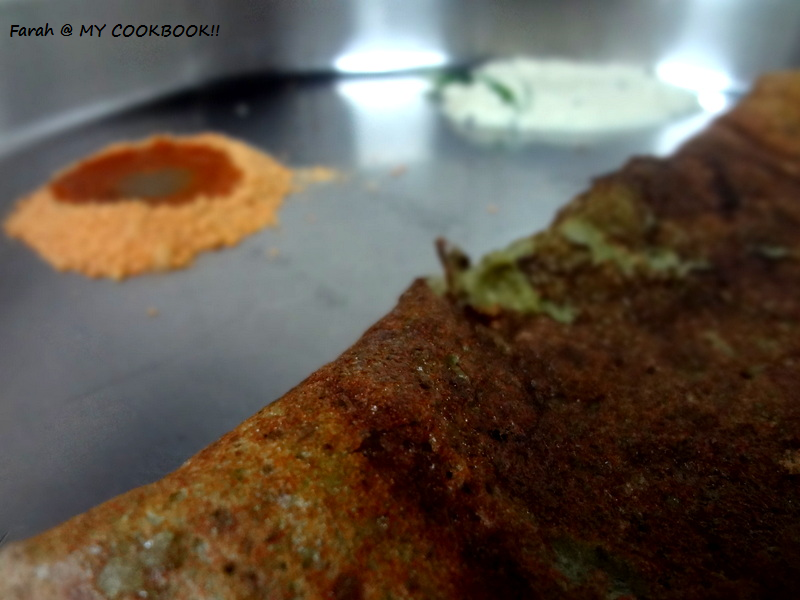 using a non stick tawa pour 1 big spoon in the form of a dosa. drizzle with oil. when it browns, turn it over till it becomes slightly brown on the other side too. enjoy hot with your favourite chutney. you can add chopped onions and curry leaves to the batter . but if you want a crisp pesarettu, then use just the pain dough without the onions. 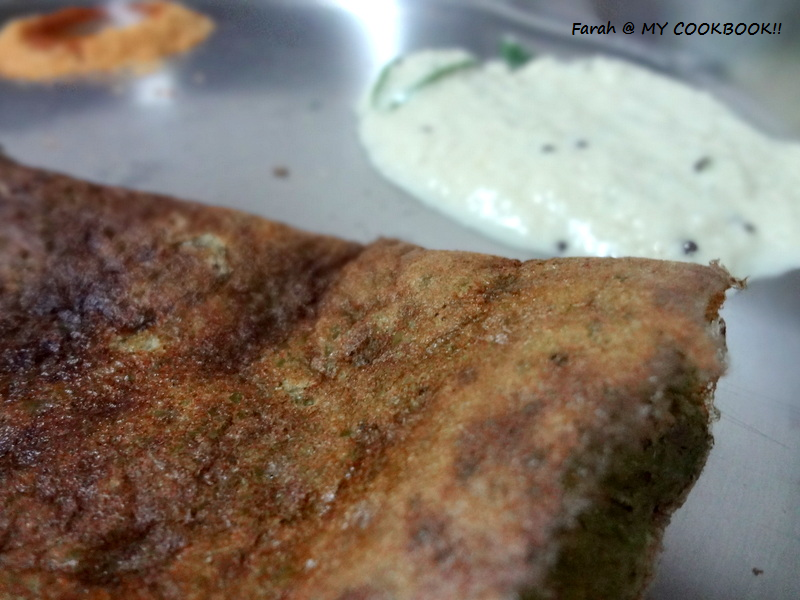 This healthy dosa is welcome to my plate anytime! It is looking delicious.